The La Touche Legacy was set up to develop the La Touche Legacy and recognize the contribution of the La Touche Family to Ireland. La Touche family members fled to Holland in search of religious freedom. 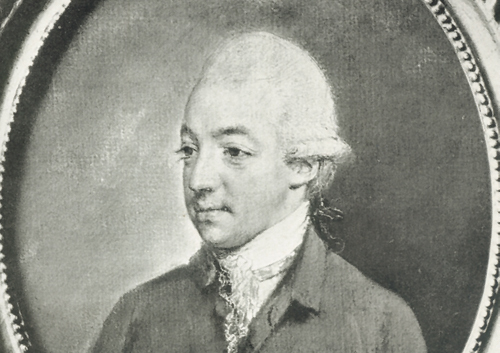 The La Touche Bank came into being and in 1716, David joined forces with Nathaniel Kane, and the Kane-La Touche banking and poplin business prospered. 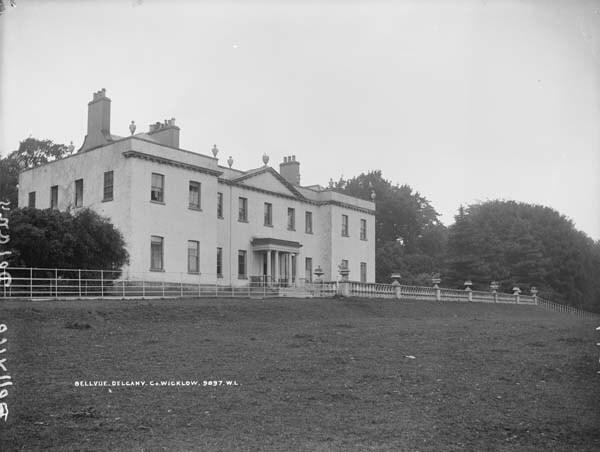 The estate at Ballydonagh comprised 300 acres, with fine views across the Glen of the Downs and towards the Irish Sea. 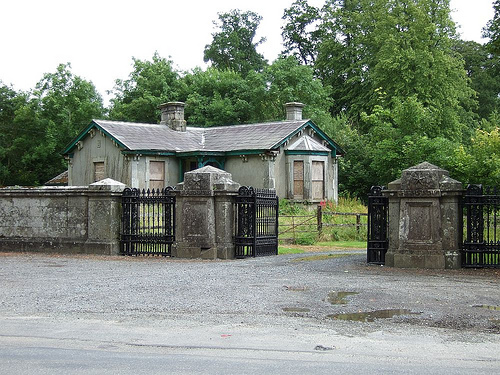 The historic lands of Harristown Demesne were in the hands of the Eustace family since the 16th century. 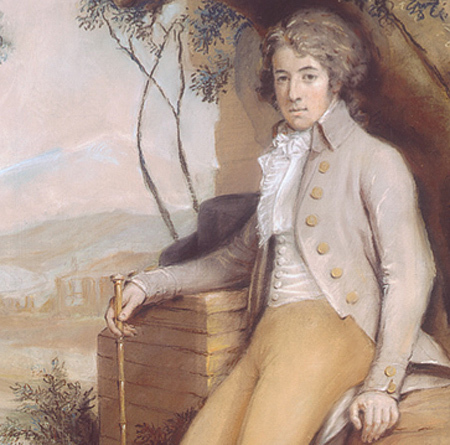 The story of the Marlay La Touches centers on banking and religion. David (the third) La Touche worked in the La Touche Bank. 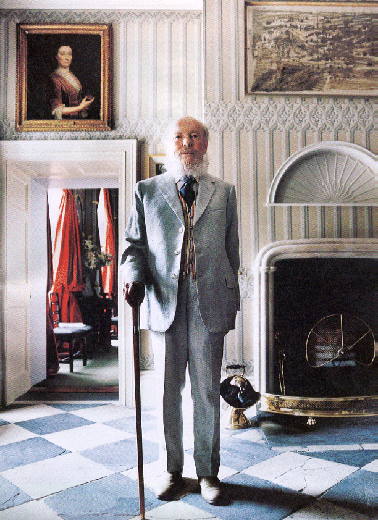 The death has occurred of The Hon Garech de Brun, one of the most colourful characters in Irish cultural life over the past 50 years & President of La Touche Legacy. He was aged 78. 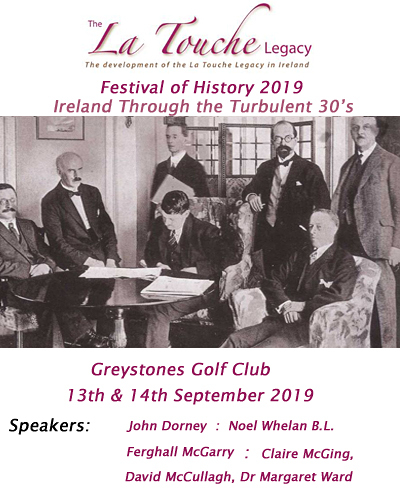 The Launch of the 30th La Touche Legacy Seminar and 5th Festival of History took place in the historic surroundings of Greystones Golf Club on Monday night 2nd July.